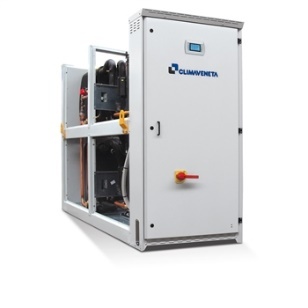 Commercial Heat Pumps - The Climaveneta range of heat pumps consist of air to water, water to water and geothermal heat pump chillers. 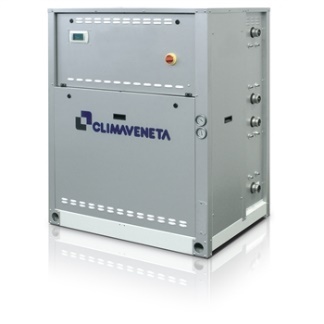 The Climaveneta range of heat pumps consist of air to water, water to water and geothermal heat pump chillers. These include capacities from 4.0 kW to 1162 kW. The Prana range of Heat pumps are primarily for domestic hot water, with temperatures up to 65°C. 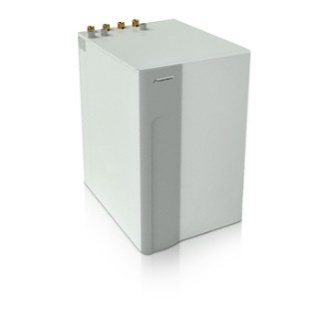 Most heat pump chillers can operate to -10°C and lower with low ambient kits. Medium temperature units are mostly used for space or structure heating in residential and commercial buildings. Typically, the hot water temperature for these applications are in the 45oC range. 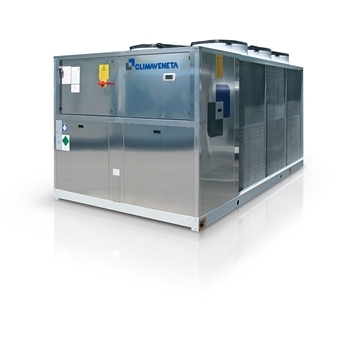 We offer Climaveneta reversible chillers for this application. This allowed the generation of chilled water in summer. 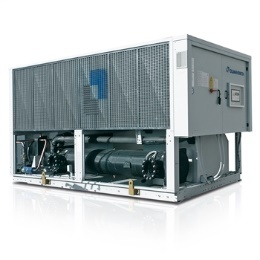 The capacities range from 4.0 kW to 1162 kW. These machines are available as air source, water source or geothermal source. The Prana range of dedicated heat pumps can generate hot water of up to 65oC, typically for the domestic hot water. 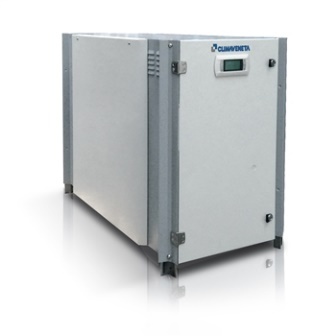 Capacities range for unit with high temperature range from 38 kW to 205 kW. 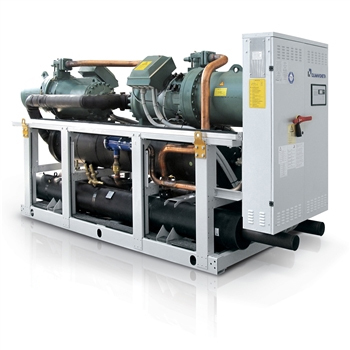 For larger units, we can offer screw compressor units, with the HWT kit, and these can reach hot water temperatures of up to 60oC. The maximum capacity for these units are 1166kW. We can also offer chillers with recovery and multipurpose chillers for this application, as well as chillers with de superheaters.